Adam Estes is assistant professor of music at the University of Mississippi, where he teaches saxophone and bassoon, coaches woodwind chamber ensembles, and teaches woodwinds methods courses. Most recently, he was assistant professor at Minot State University. Formerly a band director in the public schools in Mason, Texas, Estes has also held posts as visiting professor of saxophone at Furman University and the University of South Carolina, as well as instructorships at Presbyterian College and the South Carolina Governors School for the Arts and Humanities. Estes is a founding member of the Assembly Quartet, and maintains an active performance schedule as a soloist, chamber musician, and orchestral musician. He has been the principal bassoonist with the Western Plains Opera Company and the Minot Symphony Orchestra, and has been a regular substitute bassoonist and saxophonist with the Memphis Symphony Orchestra, North Mississippi Symphony Orchestra, South Carolina Philharmonic, Charleston Symphony Orchestra, and Augusta Symphony Orchestra. His performing career has taken him to venues in Scotland, Ireland, Austria, Switzerland, France, and Belgium. He holds graduate degrees from the University of South Carolina and a Bachelors degree in Music Education from Tarleton State University. His primary teachers have been Clifford Leaman, Greg Ball, Peter Kolkay, Carol Lowe, and Douglas Graham. 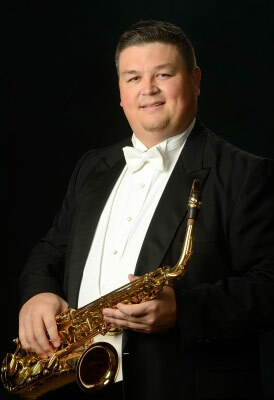 Dr. Estes is a Yamaha Performing Artist and performs exclusively on Yamaha Saxophones. He has recorded on Albany Records, AMP Recordings, and MSR Classics.